ROCKET SPORTS MEDIA | LAVAL, QC. 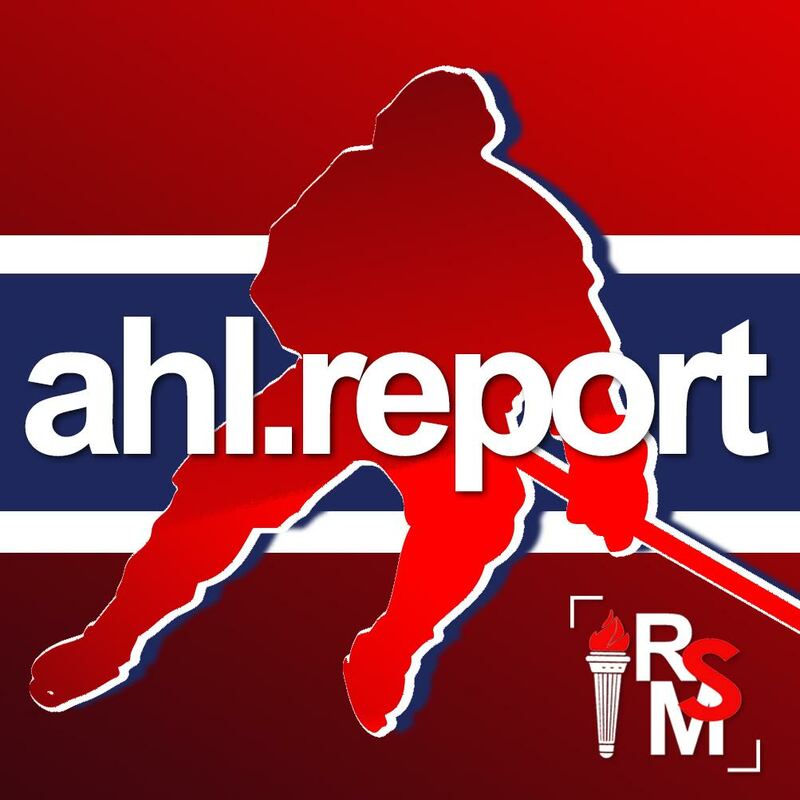 — The Rocket collected two points in the six games played since the last column, and as a result, were eliminated from the playoffs for the second consecutive season since the Canadiens AHL affiliate moved to Laval. Last week, the Rocket played three games at Place Bell. They lost twice against Cleveland by a score of 5-0 on Wednesday and 3-2 on Friday, before beating Hershey 5-2 on Saturday. Coming up this week is a three-game road trip to conclude the season as Laval heads to Bridgeport on Wednesday, Syracuse on Friday and Binghamton on Saturday. 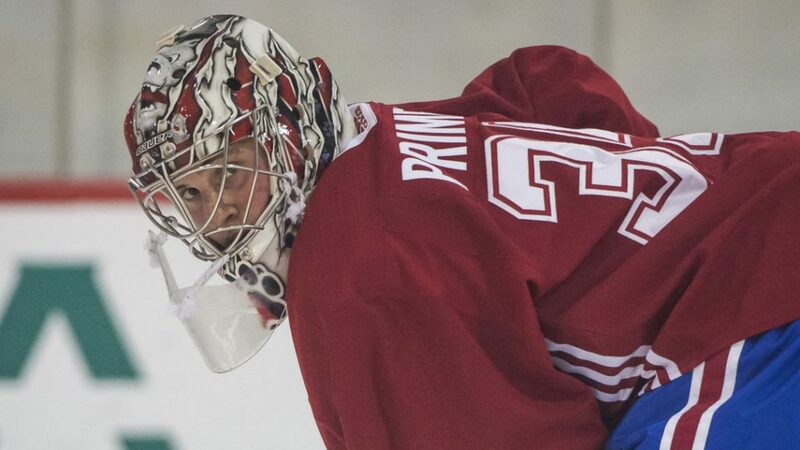 Cayden Primeau joined the Rocket on a professional tryout contract last week after Northeastern University lost against Cornell University in the NCAA Hockey Tournament. Primeau finished the season with a 25-10-1 record, 2.09 goals against average and .933 save percentage. Primeau will not accompany the team on this week’s road trip as he will head back to complete his studies at Northern University. Joel Bouchard didn’t give him an opportunity to play in a game as the team didn’t get much practice time, therefore Primeau got time to learn the environment in preparation for next season. Samuel Houde was signed to an amateur tryout contract. The Canadiens 2018 fifth round draft pick played for the Chicoutimi Sagueneens in the QMJHL this season, where he collected 43 points in 64 games. Similar to Primeau, Houde spent the week learning the environment and returned to Chicoutimi to complete his studies. In Houde’s situation, he’s expected to play in the juniors next season, therefore the objective of his signing is unclear to me. Defenseman Josh Brook joined the Rocket in Toronto on March 30th for their game against the Marlies after his WHL season ended. Brooks played 59 games this season, registering 16 goals and 59 assists for 75 points for the Moose Jaw Warriors. Brook describes himself as a two-way defenseman, who skates well, moves the puck up, and tries to get in the offence as much as he can. Bouchard described him as a passionate player with many skills and a good attitude. Brook has been paired up with Xavier Ouellet since joining the team. “I think he’s pretty good you see that he’s got some really really good qualities. He’s a good skater, he’s pretty smart with the puck,” said Ouellet following Wednesday night’s game. In four games, Brook is minus-2 and hasn’t registered a point, and I expect him to get a lot of ice time next season in Laval. Laval’s injury list continues to grow. Lukas Vejdemo suffered an upper body injury during March 27th game against Binghamton after getting checked into the boards. On March 30th in Toronto, Alexandre Alain suffered a lower body injury and Alexandre Grenier suffered an upper body injury after getting hit in the face by a puck. Both players finished the game, but have missed the three games since. Jake Evans didn’t finish the first period of Wednesday’s game against Cleveland after suffering an arm injury. No time frame has been provided for the return of any of those players. On a positive note, Noah Juulsen and Gustav Olofsson are both practising with the team wearing non-contact jerseys. Olofsson suffered a shoulder injury after playing two games at the beginning of the season. Juulsen has been sideline with a vision-related issue. He hasn’t played since December 27th in Belleville but it’s believed that he suffered the injury on November 19th when he got struck by the puck twice while playing with Montreal in a game against Washington. In an interview with TSN690 on Sunday, Michael McCarron said that he hurt his shoulder four years ago during a pre-season game with Montreal when he went head first into the goal post. The extensive list of injuries on Laval’s roster forced the Rocket to look for reinforcements. On March 31st, Matthew Struthers was signed to an amateur tryout contract after registering 31 goals and 50 assists in 61 games with North Bay in the OHL. Struthers got his first opportunity to play on Friday night and had a successful debut against Cleveland. Struthers started the game on the fourth line and impressed his coach with his play that he was on the ice during the final moments of the game when Laval had an extra attacker looking for the tying goal. “He has a flair for the net,” commented Bouchard after the game. “I had a bit of nerves but I got the first shift out of the way and went from there,” said Struthers on his first game. The Rocket signed Philippe Hudon to a professional tryout contract on Thursday. Hudon had played with Concordia University over the last five seasons before playing 14 games for the Florida Everblades in the ECHL. Hudon made his debut on Saturday against Hershey, was involved offensively and recorded his first point in the AHL. “I didn’t give myself any expectations going in. I just really wanted to play a simple game. It turned out I was creating a lot of scoring opportunities, which led to my first point,” said Hudon after the game. “He brought a lot of energy and physical force. He made a couple of nice plays and brought some offence,” added the coach after the game. The 8,643 fans in attendance on Saturday at Place Bell got to see one of Laval’s best performances of the season with a 5-2 win against Hershey. Heading into the game, the Bears had a 25-4-5 record since January 11th and had an 18-point lead over the Rocket in the standings. Throughout the game, the organization was generous in prizes for those in attendance including all the players handing out their game-worn jerseys to select fans after the game, and one lucky fan won season tickets for next season. Laval finished with a 18-13-3-4 record at home this season. Their average attendance at home for the season was 5,578, down from 6,691 in 2017-18. As the AHL regular season comes to an end this week, our attention turns to the Calder Cup playoff picture. The Pacific Division leading Bakersfield Condors have clinched a playoff berth led in scoring by two rookie forwards Tyler Benson and Cooper Marody. The crafty Benson projects as a future top-six winger for Edmonton and will be given every opportunity to supplant the likes of Alex Chiasson, Zack Kassian, and Milan Lucic next year. If Benson can stay healthy, he could be a tremendous fit flanking Draisaitl. Benson is more of a play-making wing than a goal scorer, while Draisaitl potted 50 goals this season, just one back of Washington Capitals captain Alex Ovechkin, who secured his eighth-career Rocket Richard Trophy.